The CS-1e Mono Shotgun Microphone from Sanken is a supercardioid microphone designed to capture audio. 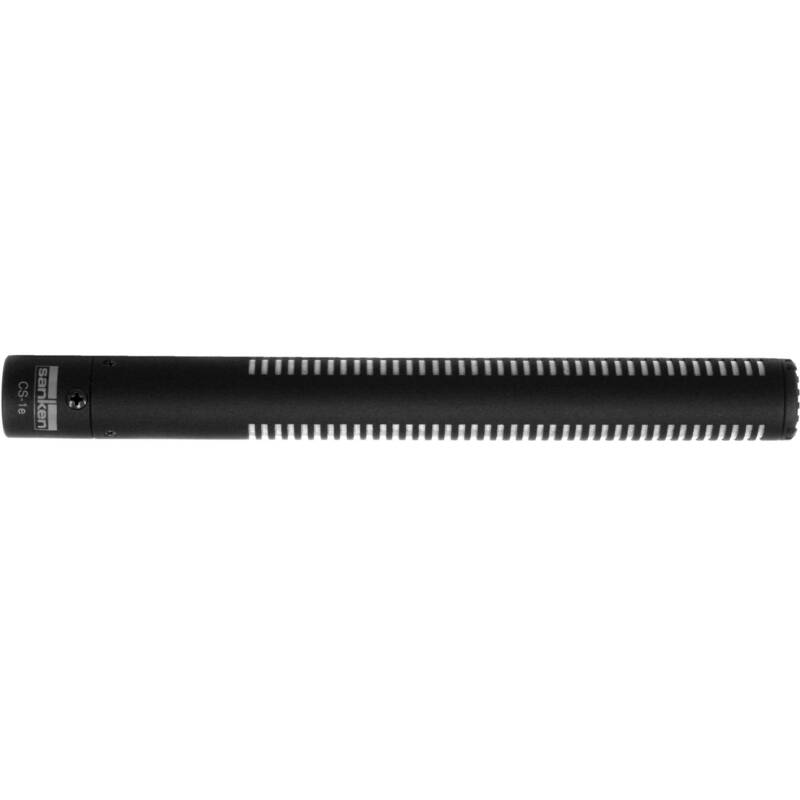 It can be used for boompole- or video camera-mounted applications and features a DC-biased condenser capsule and output electronics that offer uncanny directivity and a long range, which minimizes off-axis noise and feedback. The CS-1e short shotgun microphone, though its total length is only 7.15", makes longer reach recording possible. In addition, the noise rejection and natural sound quality are ideal for professional broadcast, audio for video capturing, film work, and more. Box Dimensions (LxWxH) 10.6 x 4.6 x 3.3"
CS-1e Mono Shotgun Microphone is rated 4.7 out of 5 by 3. Rated 5 out of 5 by Dan the Videographer from Great for Large Echoing Spaces I recently had to film something in an older building that was almost completely covered in hard surfaces. We needed to boom it but that would require a mic with heavy side cancellation. This Mic did a phenomenal job at producing great vocal tones without any serious echo. It does need to be kept in closer proximity than you would with a longer shotgun for best results, however, it is worth it! Rated 4 out of 5 by StutteringStanley from Great Small Mic Shooting with an 8mm fisheye a lot and needed a high quality mic that wouldn't enter the wide shot. This mic does the job perfectly! Rated 5 out of 5 by goro from excellent nice reach, short mic.